Posted 3:01 pm by Mike & filed under Uncategorized. 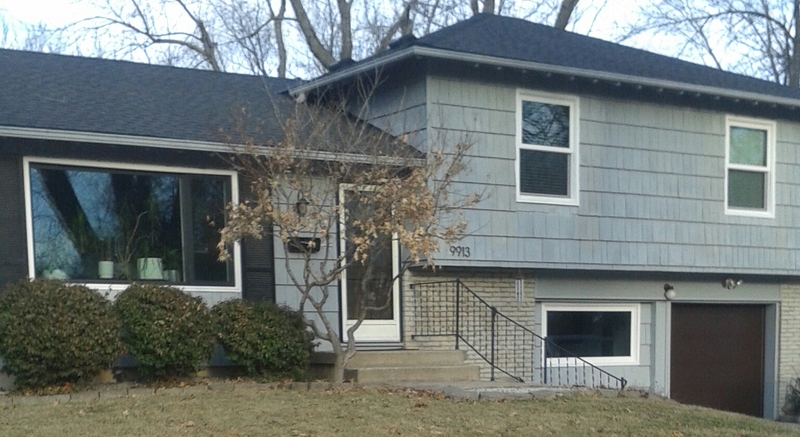 This Kansas City house is in much need of some updating. 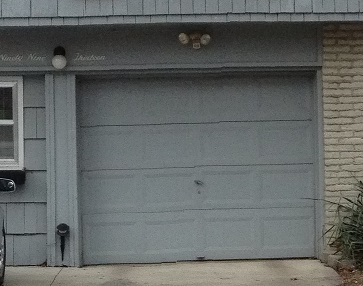 The first big step was the garage door. We took out a 1992 door with virtually no insulation, a 1970’s avocado green “vintage” door opener, and light leaking around the whole door. 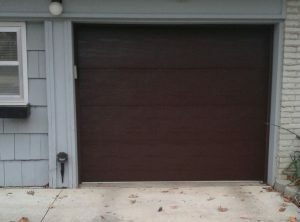 The new door is a Relante from Raynor with flush panels and a rich dark brown tone. It’s 24 gauge steel inside and out with polyurethane insulation. The new trim sealed the opening around the door and the new opener is a LiftMaster that is quite as a whisper. Since the bedroom is directly above, the homeowners retrofitted insulation in the garage ceiling to help warm up the floor above. 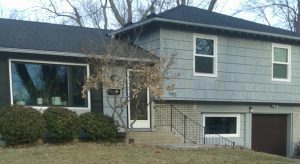 Stay tuned as we follow the progress of this homes’ transformation.